Everything you desire for serious plumbing endeavors at the Industrial & Scientific. 152" Long 2" Pipe 2-3/8" OD has essential finishing touches to match your corporate style, cheaper excellence that is hard to find. 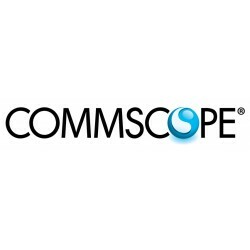 CommScope has a increase mission to avoid any risk of failure and astonish for you. If you lacking safeguard and efficient solution in your processes of production, you came to the right spot to CommScope is a different name for desire maintenance cost, and tremendous savings. them. You will be thrilled with what you can find in our reasonably priced range. Make daily life more simple, shop at Neobits. The Neobits platform features a wide variety of great products, for less. Shopping at Neobits offers an impressive piece that`s fast and reliable. Find a huge variety of similar well designed products bellow. If you have any questions, don't hesitate to contact our Customer Service department, after all, they are here for you. For a large variety and more related products, please visit other sub-categories for anything you need.